When searching the internet for training advice or even when reading the most popular cycling training books, you will soon realise there is a lot of conflicting thoughts about the most effective training strategies. 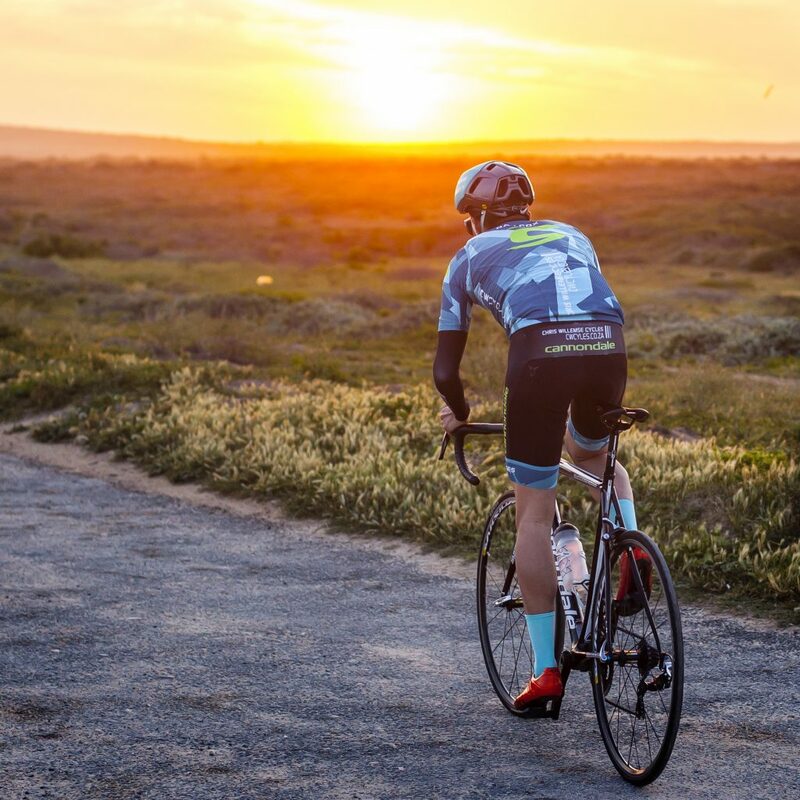 The very traditional school of thought has always advised long hours on the bike with frequent tempo or fast-paced rides. Polarised training, or high-intensity interval training (HIT) has only recently become popular among endurance athletes. Polarised training refers to the idea of a training mix between very hard and very easy. Although there are still debates as to which mode of training is more effective, a recent scientific study by Neal et al. (J Appl Physiol 114: 461–471, 2013) from the University of Stirling in Scotland seems to have finally settled this debate once and for all. This study is the most comprehensive and most well-designed of its kind and may finally be able to accurately answer our question as to which training model gives us the greatest gains. The study by Neal et al. compared predominantly tempo training (moderate intensity) to high-intensity interval training (HIT) in a randomised cross-over study. This is the best study design to answer the question at hand. All participants in the study were well-trained cyclists and performed 6 weeks of HIT and 6 weeks of tempo training (in a randomised order), separated by a 4 week detraining period in order for performance measures to return to baseline. The training load during the 6 weeks of either HIT and tempo training protocols was matched. Before and after each 6 week training block, all participants completed a 40km time trial, a peak power output test and a test to measure high-intensity capacity. Although performance improved following both training protocols, the HIT protocol outperformed the tempo training protocol on all performance measures. What training did the polarised / HIT protocol entail? The study ensured that during the HIT period, the participants completed 80% of their time at a low intensity and 20% of their time at high intensity. The high intensity time was accumulated while performing 6 x 4-minute intervals with 2-minute rest periods. During the rest periods participants either pedaled backwards or stopped pedaling altogether. How do I apply this to my own training? Excellent results can be achieved through following a polarised program on only approximately 7-8 hours per week. When training for 7 hours per week, it is recommended to spend approximately 60 – 90 minutes (20% of training time) training at a high intensity. The table included outlines how to gauge your training intensity and defines the split required for polarised training. The heart rate zones included refer to the heart rate zones we use following an incremental exercise test in our laboratory. 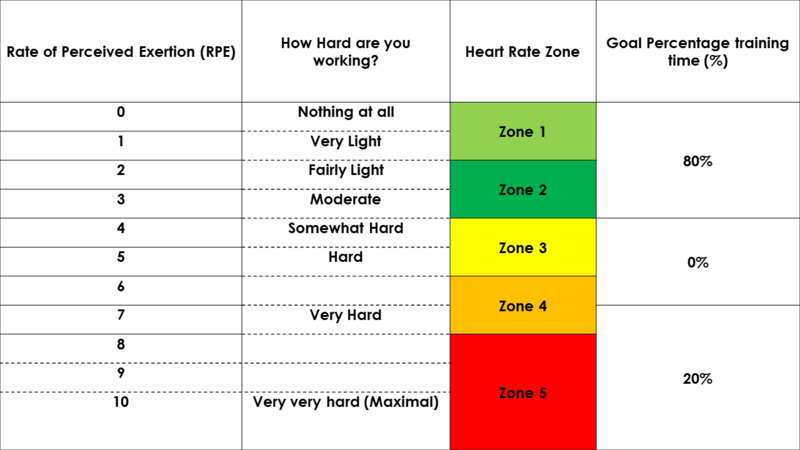 As described in the table you can however either use heart rate or rating of perceived exertion (RPE) to gauge your effort during the HIT training. However, a gauge is not necessarily required as completing intervals in zone 5 is pretty much as hard as you can possibly go for the allocated time. It is recommended to perform two HIT sessions per week. Ensure you allow adequate recovery between sessions. Does this apply to me if I’m training to do the Cape Epic or other long stage races? Most certainly yes. The last 4-6 weeks prior to your event (excluding a taper) should include HIT. As shown in the study, polarised training resulted in far greater 40km time trial results compared to the tempo group. So even when measuring performance in longer performance tests closer to tempo / moderate intensity, the HIT protocol was still superior. It is however important to reduce total weekly training time when performing HIT. Doing high-intensity training between long training rides will result in you becoming fatigued and not adapting optimally to the HIT. If you enjoyed this article, you may be interested in our online short course entitled, “Cycling Science: the essentials of cycling physiology and coaching”. For further information about the course, please click HERE. In the video below, Dr Jeroen Swart discusses the concept of polarised training and answers questions during a live webinar with Justin Durandt of the Sports Science Institute of South Africa. The article refers to a table outlining how to gauge training intensity and defines the split required for periodised training. However, the table is not included in the article. Thank you for bringing this to our attention and our apologies for the omission. We have added the table to the article.